Created as part of the 2017 Seattle Children’s Hospital Broadside Project, this print was designed & letterpress printed using photopolymer plates. 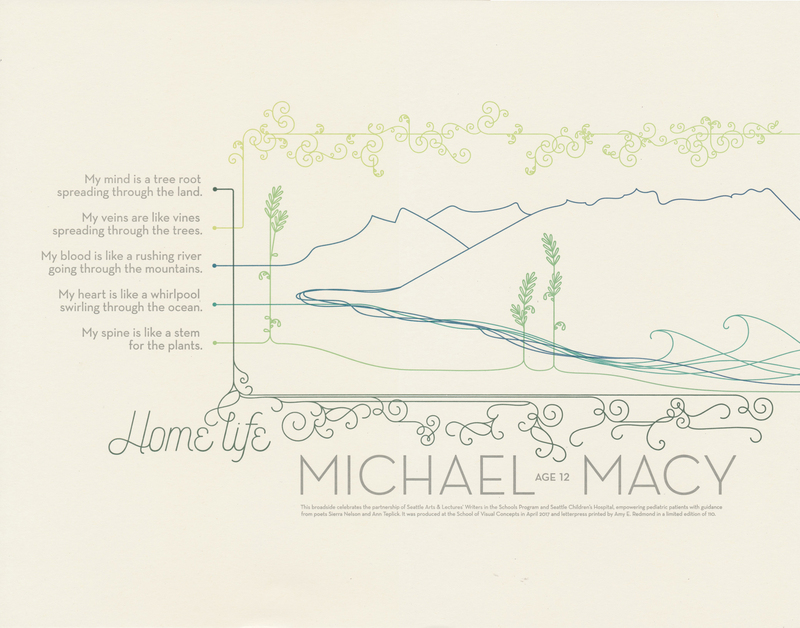 The poem, written by Seattle Children’s Hospital patient Michael Macy, inspired the landscape that grows from the words like blood coursing through veins. I prefer to print from handset type, but a busy travel schedule kept me away from my studio and granted me the opportunity to develop this idea digitally in a way that is distinctly different from how I work using non-computer-generated imagery. It was printed in an edition of 110 from photolymer plates, one sheet at a time, using a Colt’s Armory platen press. It took a total of 7 passes through the press to complete (the seventh being the colophon, whose tiny type required a different amount of ink than the gray text of the poem). 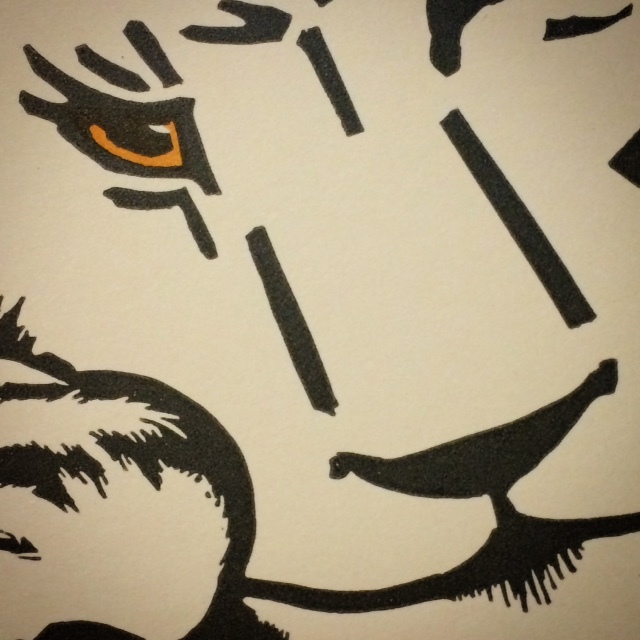 This collaboration between the School of Visual Concepts and Seattle Arts & Lectures’ Writers in the Schools program at Seattle Children’s Hospital yields some of the most moving and meaningful work to come out of the SVC letterpress studio. Terminally ill and long-term patients write from the heart under the guidance of poets from Seattle Arts & Lectures’ Writers in the Schools program. SVC’s team of letterpress artists turns each of them into stunning broadsides, and work together to build the portfolio cases that house the prints. Eight volumes of poetry portfolios have been created as of 2017, thanks to invaluable donations from Neenah Paper, Puget Bindery, Ecological Fibers, and Boxcar Press.